KNOXVILLE, TN — In front of hundreds of witnesses, Mayor Madeline Rogero unveiled an historical street sign in front of Eternal Life Harvest Center. 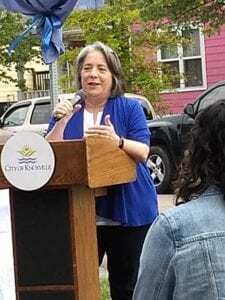 Knoxville Mayor Madeline Rogero said: “Rev. Davis was a man of deep faith who dedicated his life to serving others. Over the years, his ministry and community outreach touched the lives of many Knoxvillians. 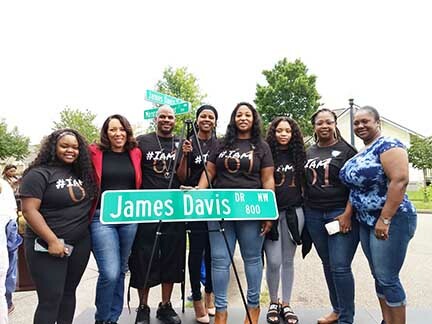 James H. Davis Drive was named after the founding pastor, Dr. James H. Davis. The Mayor, Church, city officials and the community came together to celebrate with the family and unveil and celebrate the life of a man who made a difference in the lives of so many. James H. Davis, a pastor who touched many people in his life. He received several awards from Knoxville Mayor Madeline Rogero for his leadership and service to his community; was recognized for efforts in gang mediation and for curbing gang violence; was named “Man of the Year” at the Black Men and Women’s Expo (1996), was awarded the “Danny Mayfield Champion of Change” (2005) and received the Distinguished Service Award for his leadership (2008). 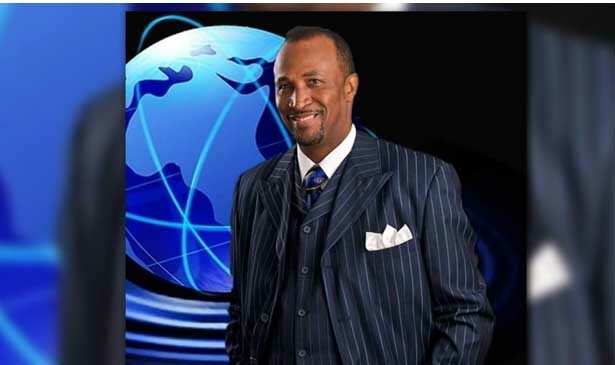 Pastor Davis was know as a “trailblazer and innovator he walking in faith. Knoxville Mayor Madeline Rogero speaking at the unveiling. Dr. Davis grew up in the area and after being saved; spent the next 25 years, working to save youths from the streets, working to stop gang violence, rebuild the community, and working for unity across the city. Dr. Davis also worked to rebuild lives by working with the prison systems, sending teams to minster to the inmates. He created a ranch where men could go to get their lives restored, renewed, and made whole. The Ranch project and many others continues today under the guidance of the new co pastors: Evan and Ashley Kariuki. At the time of his passing, the church that started with four members in a little store front building had grown to over 1500 members and came to be known as the church with two locations serving both the west side of town and the inner city. The celebration and dedication by the city of Knoxville will forever be remembered in the life of a man to lived his vision in making an impact from the inside out.